Connecting GPs with local specialists to reduce and avoid unnecessary referrals. 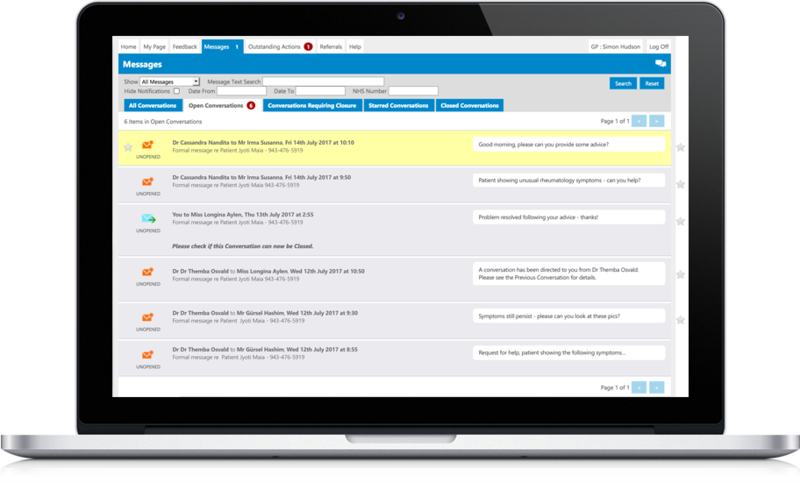 Ensures you achieve primary care objectives and secondary care CQUIN targets. Patient data and the conversations between clinicians is sensitive and of utmost importance. That’s why we use full encryption within the application and whenever information is transmitted; why we’ve chosen Microsoft Azure as our UK datacentre partner (they spend over $1 billion a year on security), why we adopt NHS Information Governance rules and why conferrals using Kinesis A&G remain private only the NHS staff involved. Why is it so relevant now? Pressures on the NHS are widely publicised. When you look closer, much of that pressure could be alleviated if we could remove some of the inefficiencies that are a legacy of the 20th century. The data clearly shows that two-thirds of patients attending outpatient clinics could have been treated in primary care if GPs have access to the knowledge they needed; patients avoid long waits outpatient clinic appointments and hospitals can use their consult time in clinics with the more needy patients; hundreds of millions of pounds of unnecessary spend could be avoided by patients getting the right care, sooner. Kinesis A&G rapidly pays for itself in cost savings from avoided referral fees. Avoiding just ¼ of unnecessary referrals would save NHS England >£500M per year. Ensures faster access to appropriate care for patients, improving their clinical outcomes. Appropriate care starts tomorrow or the day after, avoiding weeks of wait time for outpatient appointments. Patients are reassured, GPs treat with increased confidence. 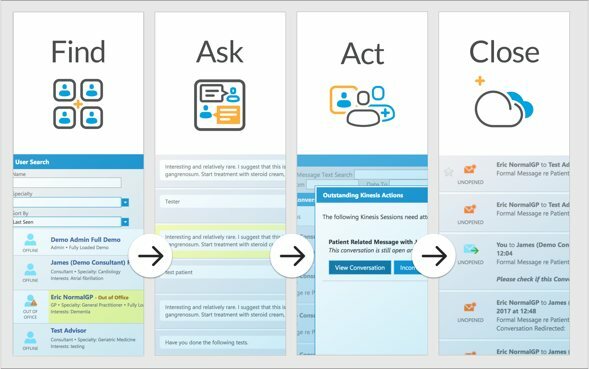 Six years of active development in a real-world setting, to ensure the entire advice and guidance process is seamless, very low effort, efficient and assured. Plus bespoke Tracker support service. The system tracks tickets with email / SMS integration and provides SLA monitoring and comprehensive reporting. 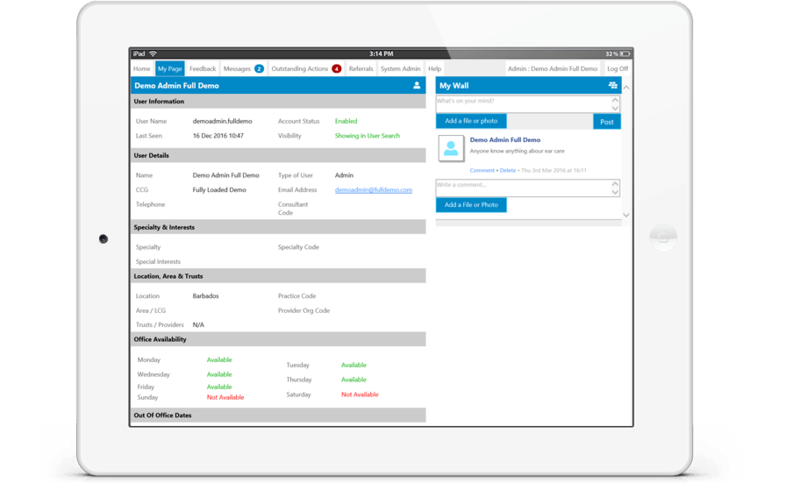 Reduces unnecessary load on critical NHS services, especially outpatient clinics and limited consultant sessions. Positive impacts on A&E. Get started in 1 to 2 weeks with our help, full documentation and active training and support to accelerate adoption across the settings. Clinicians rapidly get in the habit of request advice and organisations hit their improvement and CQUIN targets. 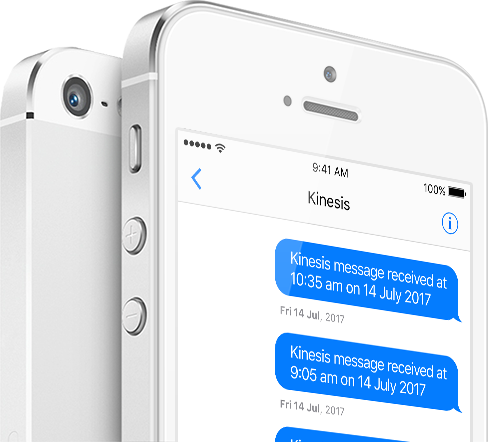 Intelligent features for out of office, working hours, delegation, starters and leavers, group working and so much more places Kinesis A&G at the very forefront of next-generation NHS systems, designed for users and organisations. 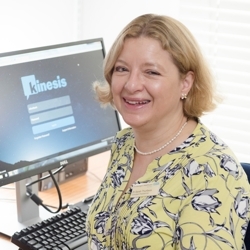 GPs and consultants rate Kinesis A&G at 4 or 5 stars for ease-of-use: designed for clinical work patterns, fast and easy-to-use, dynamic user alerting and escalation, plus the new ability to access remotely via mobile devices all lead to better adoption and earlier benefits. Advanced reporting to drive up adoption, identify poor responders, enable billing and track usage. 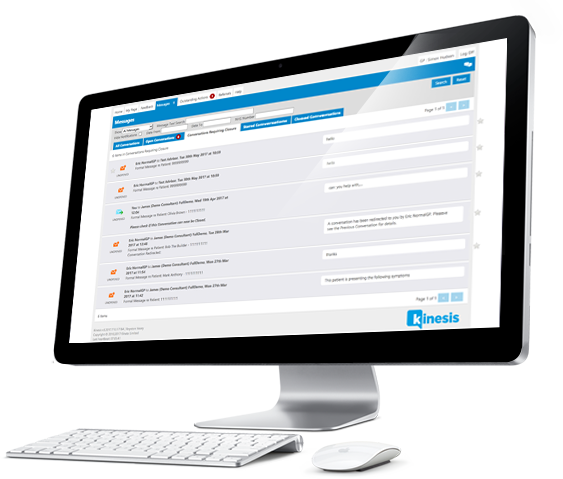 Kinesis A&G is the only advice and guidance system with full management capabilities for organisations who take referral avoidance seriously. It's a very well-designed and easy to use system that bears no relationship to typical NHS IT. I think you have an impressive system in Kinesis. It's simple and intuitive and really makes a difference. Provides confidence that their needs are being quickly assessed by experts. Minimises waiting time for appointments and delays in treatment – reduced time to treatment. More convenient locally based treatment where possible. 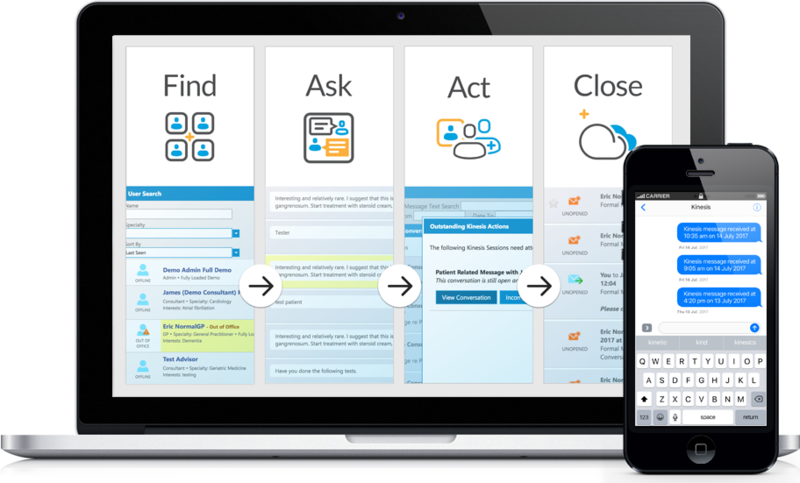 We work well together and are focused on making great software to solve real needs in the NHS. Say hello! Becky has a vast & varied work background from Public Sector to Private sector, encompassing IT, Communications, Data Migrations, Project Management, Hardware and Software transition and transformational projects spanning throughout the world. Josh is a full stack software engineer, with a wide spectrum of creative, technical, and professional skills. With an extensive knowledge of modern and promising technologies Josh champions the archetype, for resolution-focused software. Simon Hudson is an entrepreneur, health sector specialist and founder of Cloud2 and Kinata. He has an abiding, evangelical interest in information, knowledge management and has a lot to say on use of technology and the health sector. 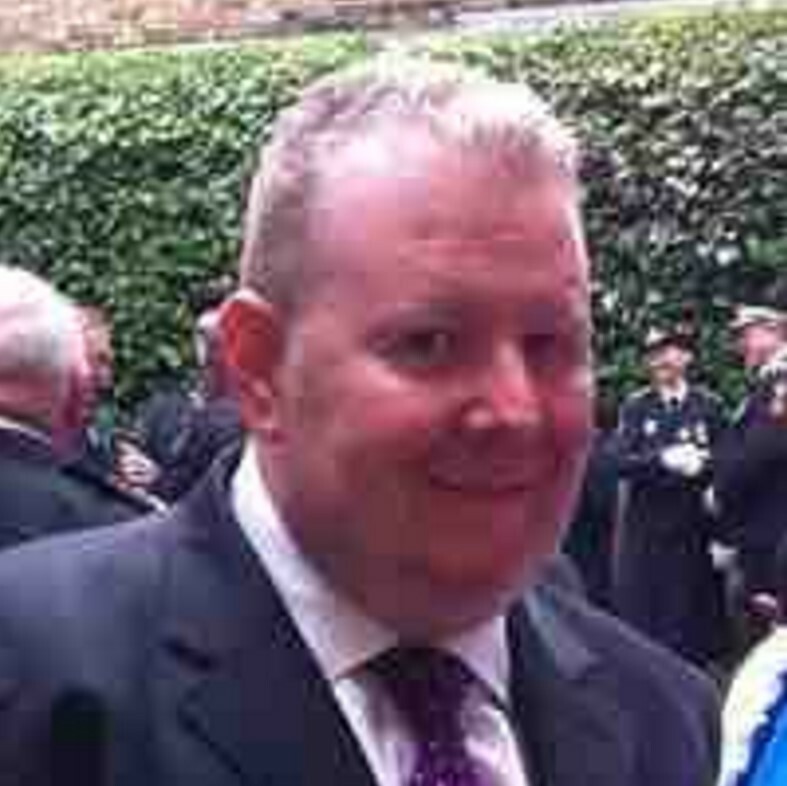 Dan Donnelly is an innovating entrepreneur with a history in integrating technologies to enrich business efficiency. Dan is a director of several technology-based companies and often acts as a strategic advisor for growing organisations.